Scheduling is my thing. I love it. Could be my type A personality. Could be my colorful flair pens…but I love it. Here’s a little peek into my day of co-teaching third grade! Welcome students, attendance, check homework, announcements, begin morning review. Homework usually consists of a reading comprehension passage and a math review page. We check homework for completion (Except if there are BIG noticeable mistakes…then we conference with that student for a few minutes). We use a simple checklist with their names so that we can keep track of who is frequently not completing homework. This helps us when report card time comes around. 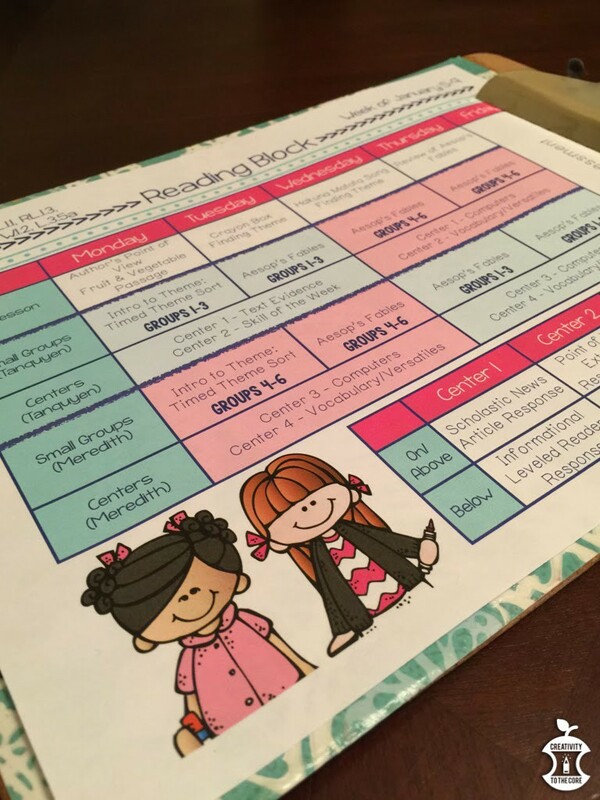 Because our 3rd graders in Florida have to pass to state assessment to be promoted to 4th grade, our school creates reading and math review packets. Students complete a page or two of the reading review packet before our mini lesson each morning. Ehhh you know…nothing really fun, but they are helpful, so we do them as test prep. Mini-lesson – This changes often, but may include Picture of the Day or a YouTube video or maybe a short read-aloud to introduce a topic. 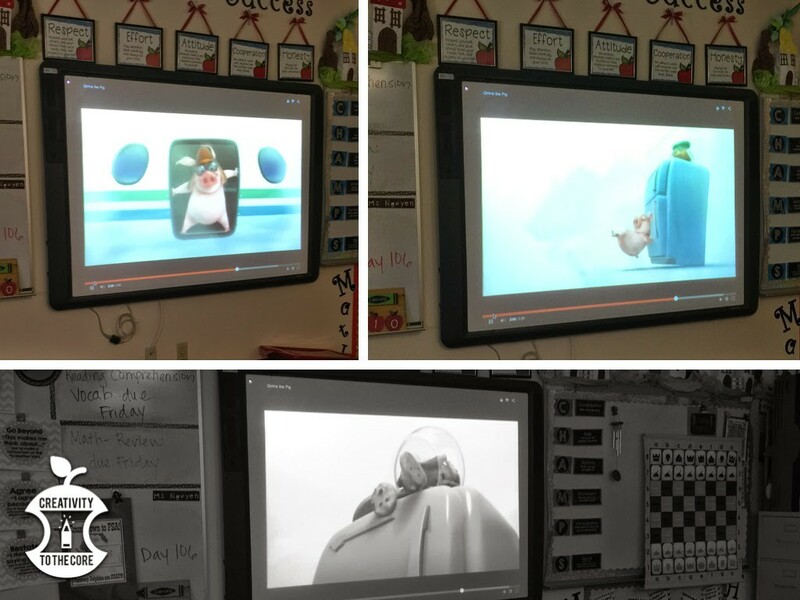 Students love watching YouTube videos before practicing or reviewing a skill! Read more about this activity here! Because there are two of us teaching at all times, we try to maximize our time and meet with all of our students. We teach completely in small group during reading. There are two groups of six students who are below grade level and three groups of four to five students who are on-level or above-level. Both teachers hold small groups at the same time. We are on opposite sides of the room, so it’s not distracting. We basically split the entire room in half when we are teaching — it’s like two separate groups of small group and centers in the same room. Monday and Tuesday – The main classroom teacher always begins the week with the below grade level students to lay a foundation. She has 2 small groups for about 30 minutes each. I always start the week with the on- or above-grade level students. I have 3 small groups for about 20 minutes each. Wednesday and Thursday – SWAP! This gives students the ability to hear the same concept in two different ways, from two different teachers. I reinforce the lesson with the below-level students. 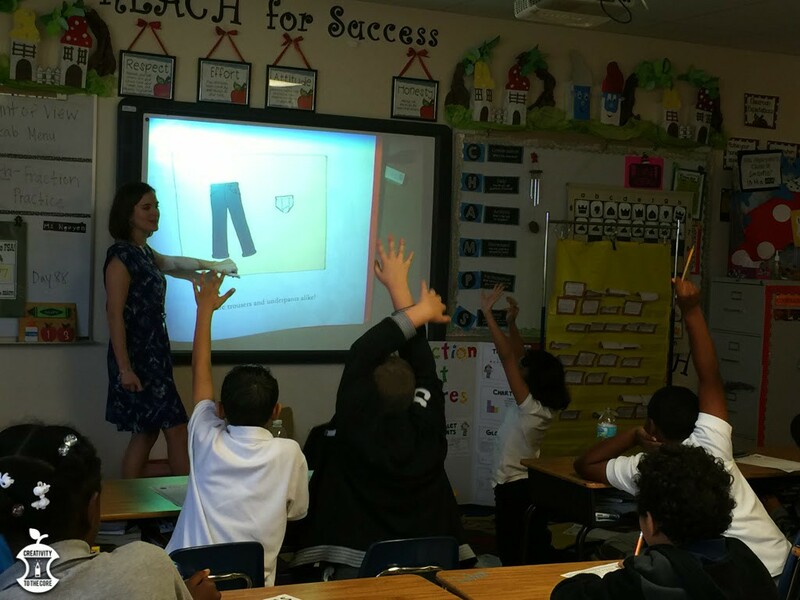 The main classroom teacher reviews and enriches the lesson with the on- and above-level students. Assessments and finish any incomplete centers. This was taken from my small group area. You will see the other teacher’s “side” directly across the room. One of her groups is in small group and the other is working on computers in the far corner of the room. When she is ready to switch, she will simply have those two groups trade spots. Computer – We have a program called iReady that is used throughout the school. Students take individualized reading and math lessons on the program. Vocabulary/Novel Study – My novel study groups read their novel, make annotations, and respond to their “flippy prompts” (blue flaps seen below). When we are not reading a novel, students complete vocabulary activities at this center. Skill Practice – This center changes depending on our skill. It is differentiated for the different groups of students. There are often two separate activities for certain students. This center almost always includes writing. Sometimes it has task cards. Overall, it is based on the standard that we are teaching that week. 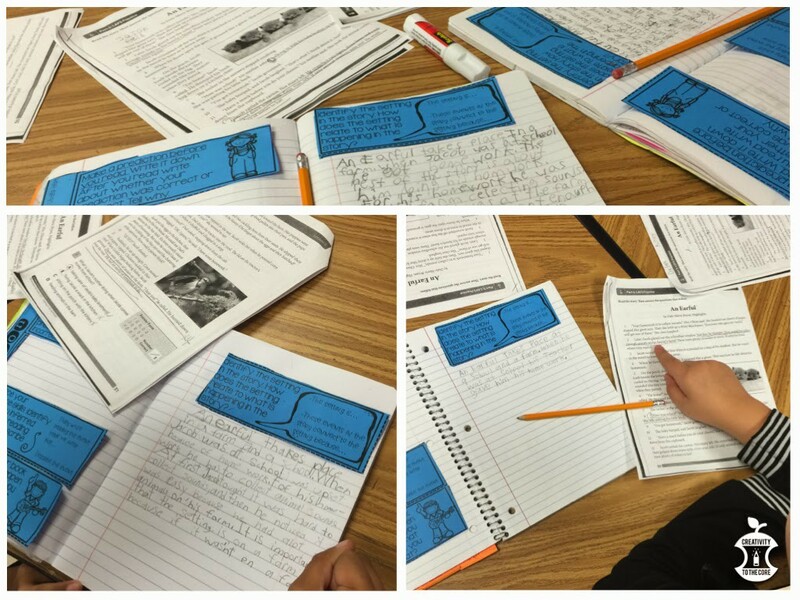 Text Evidence – Students are given books or passages and questions. We make sure that they are focusing on finding text evidence and responding in complete sentences with evidence based sentence starters. Paired text passages are a hit with students in this center. Grab these Fiction and Nonfiction prompts that can be used to extend reading comprehension or during novel studies from The Teacher Talk. 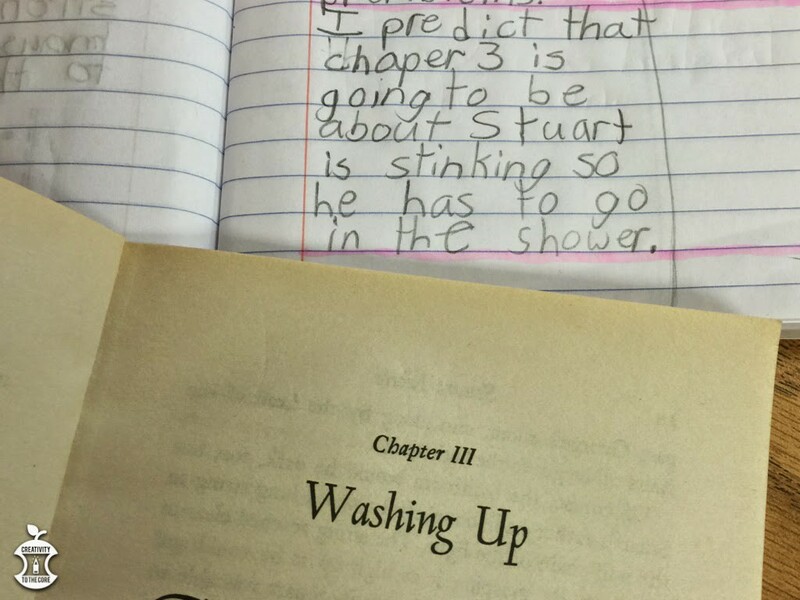 Here is a student making predictions and reading Stuart Little in our Novel Study center. Many of our on-level students still struggle with forming complete sentences to explain their thoughts. 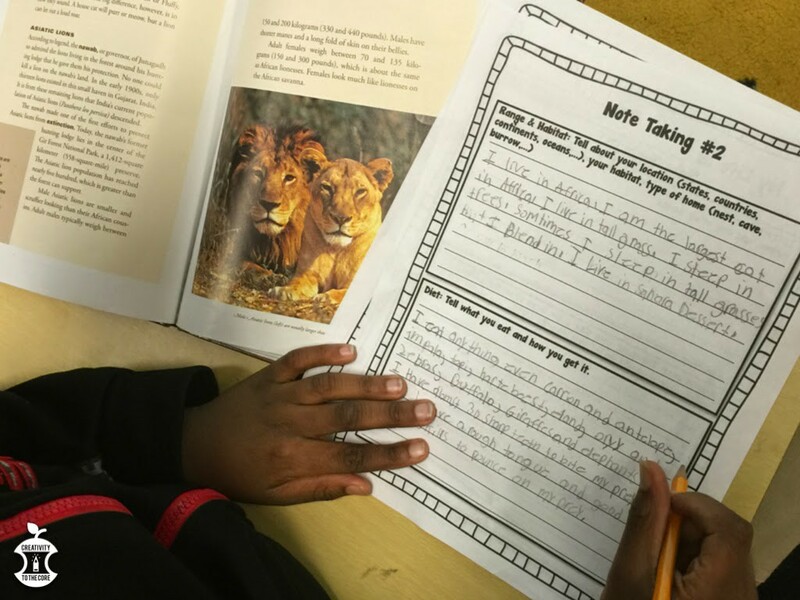 We infuse TONS of writing throughout the day to help students to improve throughout the year. This is a student practicing research and point of view in our Skill Practice Center. Wrap up small groups, clean up centers, go to Specials. When I switch classrooms, the students in Classroom B do pretty much the exact same activities as in Classroom A. I will just list times for you here. The activities are almost identical to the ones explained above. Wrap up math from before Specials. Snack and reading review packet warm up (same one mentioned above). Wrap up small group and centers, clean up, go to lunch. Thank you for stopping by to read about our day in third grade! Be sure to check out other teacher schedules below! Thank you, Ashley! I love reading all these scheduling posts. 🙂 Can't wait to meet you in Vegas! I love the peek into your schedule. That is a really interesting way to co-teach. It seems like each class has a "normal" amount of students. Is that right? Do the main classroom teachers teach the other subjects alone? My school is always in need of creative ways to teach and reach all the students. This set up sounds like something I'd be interested in trying if the situation presented itself. Thank you, Adrienne! Each of the classes has about 25 students. In our county, the limit is 18 students. These two classes are "stacked". Therefore, I am a third teacher for those two rooms. This worked out better than taking a group from each teacher so late in the year (January) and combining them to make a third class. 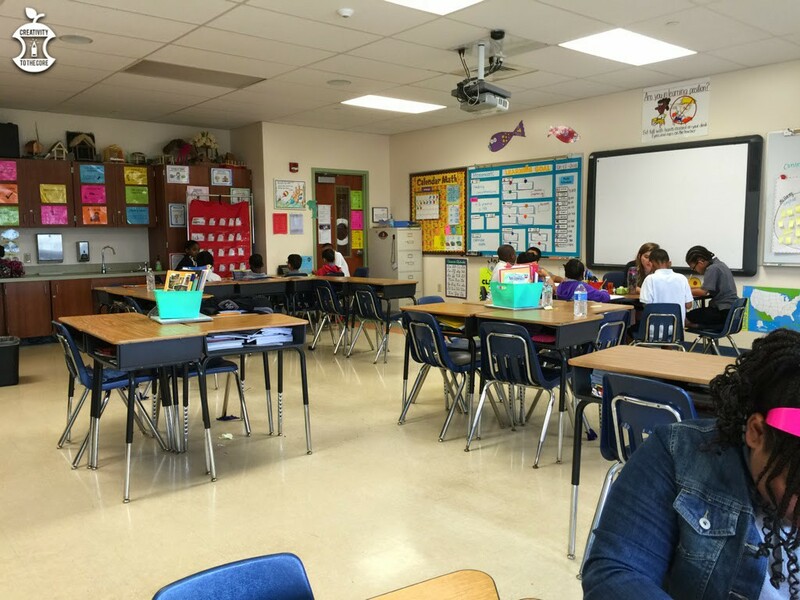 The main classroom teachers teach math on their own. There is also a paraprofessional that is sometimes there for extra support, but basically they are on their own for math. Social studies and science are taught within reading because it is all integrated. Thank you for your questions! 🙂 I appreciate them! What a fun day! 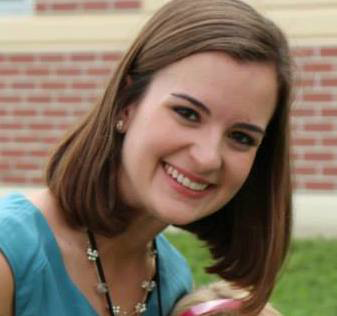 I would love to be able to switch classrooms, and work with all of the students. Hopefully by giving the students two different ways of hearing the information it is really helping it stick too!! I can't believe you get out of school an hour before me though!! Do you wish your day was longer? Meredith! Thank you for linking up with us! It seriously means so much! I find it very interesting that you are able to teach your language arts in small groups! How nice…I may be slightly jealous! 😉 I'm excited to be able to officially meet you in Vegas this July!